Children love learning about animals! They are also concerned about the world around them. That's why I created the "Mangrove Collection". Students can learn to play these easy piano pieces while at the same time learn about creatures the live in the Florida Mangrove. Great Blue Heron is a piece that your students will absolutely love playing! This piece is a beautifully written 5 finger position solo that even the earliest beginner can play. Perfect for recitals or just for fun. 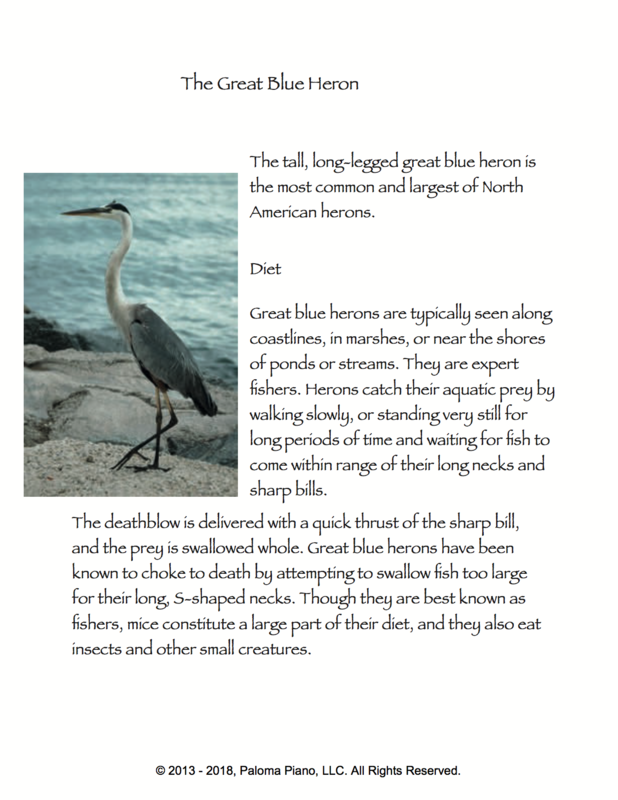 And, there are some fun facts about the beautiful Great Blue Heron. 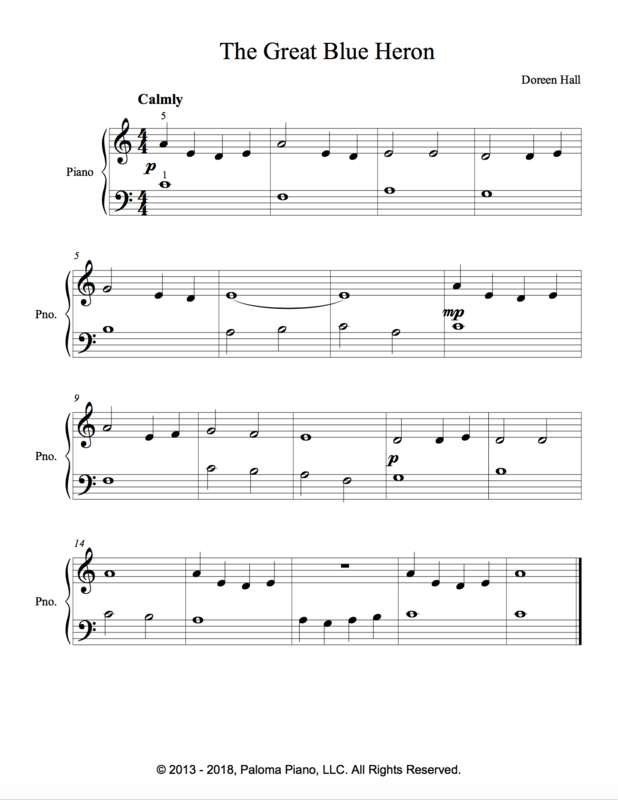 If you are looking for an easy recital or festival piece look no further. This piece really fits the bill.